John Maurice Ostheimer died on August 2, 2017, at his home in Fort Collins, Colorado. Ostheimer was born in West Chester, PA, on November 22, 1938, the son of Alfred James Ostheimer III and Ruth Magargle Ostheimer of Whitford, PA. He earned his BA, MA and PhD from Yale. Ostheimer taught Political Science at University College, Dar es Salaam, Tanzania, 1964-66 and Northern Arizona University in Flagstaff, AZ, 1967-1985. He authored Nigerian Politics (Harper and Row, 1973), Politics of the Western Indian Ocean Islands (Praeger, 1976), and co-edited with his wife, Nancy Ostheimer, Life or Death: Who Controls? (Springer, 1976). He also wrote many professional articles on politics in the United States and Africa, and on environmental issues. While at NAU, Ostheimer chaired the Faculty Senate in 1981-82 and served on many committees. In the community, he chaired the Flagstaff Bike Route Committee, and was involved with youth sports. He also worked with the Coconino National Forest, the U.S. Forest Service, and formed the Northern Arizona Flycasters. Ostheimer served as a university administrator, first as chair of the newly-formed Department of Political Science at Northern Arizona, then as the Dean of the College of Liberal Arts and Sciences at University of Colorado at Denver, next as Dean of the College Arts and Sciences at East Tennessee State University in Johnson City, and, finally, as the Provost and Vice Chancellor for Academic Affairs at the University of Wisconsin-Parkside, in Kenosha. Retirement in 2001 brought the Ostheimers to Fort Collins, Colorado. In retirement, Ostheimer pursued his life interests in fly-fishing, hiking, seashells, wildflowers, and birds, as well as opera and theatre. He was a member of the Colorado Mountain Club, Poudre Wilderness Volunteers, and served as a fishing guide for The Nature Conservancy’s Phantom Canyon. Ostheimer became active with Opera Fort Collins, first in the Guild, and as President of the OFC Board of Directors in 2008-9. 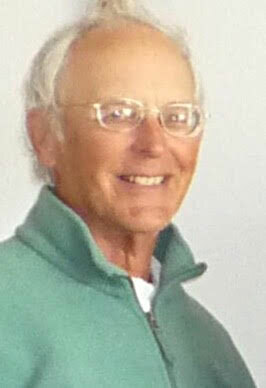 He is survived by his wife, Nancy, of 54 years and their three children: Ellen Ostheimer Creagar (Robert) of Torrington, WY, J. Gibson Ostheimer (Debbie) of Ranchester, WY, and William Allen Ostheimer (Tracey) of Buffalo, WY, eight grandchildren, and four great grandchildren. He considered his family to be his greatest pleasure, as well as his most important contribution to our earth. Donations to the Ostheimer Scholarship Fund are welcome at: Northern Arizona University Foundation, Box 4094, Flagstaff, AZ, 86011: in the memo line #5519 – Ostheimer Scholarship or https://foundation.nau.edu/giving.aspx?fnds=05519.